high school – Mr. E! The Motivator! presents Empowering Perspectives! Top 5 ways to Take Notes (in real life)! Posted on December 8, 2014 December 7, 2014 by Mr. E! The Motivator! Taking notes is important, but can be irritating. It’s hard to know where to start and hard to know exactly what to write. We often fall into a trap when your teacher is teaching because it feels like you’ll be able to remember every word that he/she speaks. Not realizing that we forget what’s been said minutes after we leave the environment. The toughest part is wrapping your head around what exactly to take notes on. What’s important? How I can write it quicker? Here are some tips on how to take notes from a guy (me) that had to learn the hard way. It may take a little time to get into a system that fits YOU, but don’t give up on it. Taking Notes will be valuable to you for years to come. 1. Take Notes Seriously. I had to tell myself, “I’m going to take notes today. Good Notes!” I’m going to write it all down. Now of course I couldn’t write everything down so I ended up doing this. 2. Active Listening – I made it a point to move as close to the teacher as I could, so that I could remove any interruptions from what I was determined to do. I paid attention to the teachers every (important) word. I asked him/her to make things clear, to slow down, or to repeat things that I’d gotten behind on. This is the most important part of note taking. 3. Write the most important things. Names of people, Dates, keywords & definitions, etc. I wrote it all down word for word. Teachers will give you leading phrases like, “This will be on the test.” or “This is very important.” That stuff, I wrote verbatim. 5. Make sure I could remember the notes later. This took a while to learn. There is nothing worse than taking notes that make sense in class, but once you get home and look at them again, you can’t remember a thing that you’ve written. As I got better at Taking Notes To Remember, the artwork concept developed. Let this be your start to taking notes that you can remember and get in the practice of taking them often. With more online learning coming, your note taking will become more and more valuable! IN online learning, you can use your notes on tests and quizzes. Especially notes that are written down! Get those notes! You can’t cram everything into your head! Tell me about your Note Taking experiences on Facebook! Go to Facebook and search – Mr. E! The Motivator! Posted on November 12, 2014 November 13, 2014 by Mr. E! The Motivator! Imagine the days where face-to-face conversations were prevalent. There was once a time where the beauty of outdoors fascinated young spirits. Hopscotch, Double Dutch, Pogo Sticks, Basketball Tournaments, Bicycle Riding, Skateboards, Marble Shooting in the dirt, Softball in the park, Swimming all day on hot sunny days, Football in the middle of the street, Foot Racing with no shoes, Catching Tadpoles in the nearby creek, Rock Throwing contests, and Tree Climbing just for the heck of it. Those were the days so serene and far from the prevalence of technology. As an adult who yearns for a sense of normalcy, I often drift back down ‘Memory Lane’. As an educator, I fear for the horrors that await our youth of today. I remember learning from my elders how to conduct myself in public as a youngster. I had to talk and walk a certain way. My presentation to the world had to reflect my upbringing was the result of persistent parental involvement. I was taught not to embarrass the family name. Back then,I had far less distractions and temptations our youth of today have. Let’s talk the topic of ‘Social Media’…a world we live in located right on the other side of Earth. In the minds of most of our youth, this location provides solace to all that isn’t right in their lives. They go out into this fantasy type arena looking for acceptance at all cost. In their looking, many find themselves sacrificing their morals, and often fall prey to elements awaiting their simple-minded ways. Social Media is a public forum with ‘privacy’ settings that are far from private. 5. The ‘DELETE’ button doesn’t necessarily mean your ‘potty mouth’ posts have gone away. Just like in real life here on Earth, they await the ‘trash truck’ in cyberspace to retrieve them from the cyber-trash can. Young people, I challenge you all to step away from the world of Social Media to explore sparingly the joy of being a physically interactive kid who enjoys the face-to-face conversations with friends outdoors. Your young lives need balance and structure. Your reputation should matter to you, because it really does matter when it comes to how the world will perceive you. If you were born into this social media wave and have absolutely no idea how to be a ‘do without technology’ type of kid, please refer to my journey I took down ‘Memory Lane’ at the beginning of this article. It’s still possible to be a kid with a sense of normalcy, even today. Don’t let the social media pandemic rob you of the beauty of childhood. I support your exploration. Life’s a breeze. Be easy. Affiliation: Omega Psi Phi Fraternity, Inc.
Posted on November 10, 2014 November 12, 2014 by Mr. E! The Motivator! by Mr. E! The Motivator! What if I told you that your teacher doesn’t matter. What if I told you that it is ALL UP TO YOU to pass a class? How would you do it? What steps would you take to pass that class? 2. You will work, read, and study like never before so that no one can tell you what you DON’T know. 3. You will dare anyone to challenge your knowledge on the subject so that you can prove your worth to those that doubt you. 5. You will, lastly, realize that you can do these things right now and be greater than you’ve ever been before…. Facebook & YouTube – Search – Mr. E! The Motivator! Posted on May 29, 2012 by Mr. E! The Motivator! About Mr. E! The Motivator! Mr. E! The Motivator! is a youth educational/motivational speaker that brings excitement to your classrooms as you prepare for standardized tests, empower children to appreciate diversity, and create ways to deal with bullies through his innovative songs, live performances and events. Teachers, principals, counselors, media specialists, paraprofessionals, students, and parents around the nation have grown to love and eagerly await the new versions of his educational software, his live performances and speeches at schools, workshops, and conferences. Mr. E! 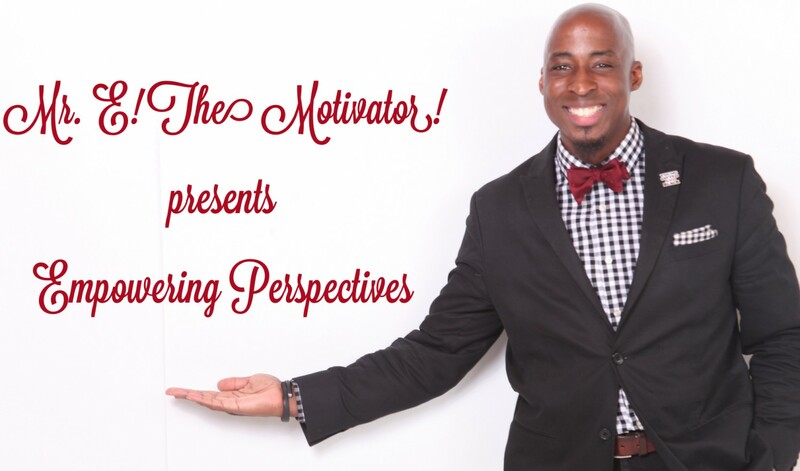 The Motivator is originally from East Atlanta, Georgia where he is a product of the DeKalb County School System as a graduate of Ronald E. McNair High School. Mr. E! holds a bachelor’s degree in Business Management from Alabama A&M University where he attended on a band scholarship, served as drum major for the marching band, and is a member of Kappa Kappa Psi National Honorary Band Fraternity. He also has a Master’s degree from Cambridge College in School Counseling. Visited Schools as Mr. E! The Motivator! 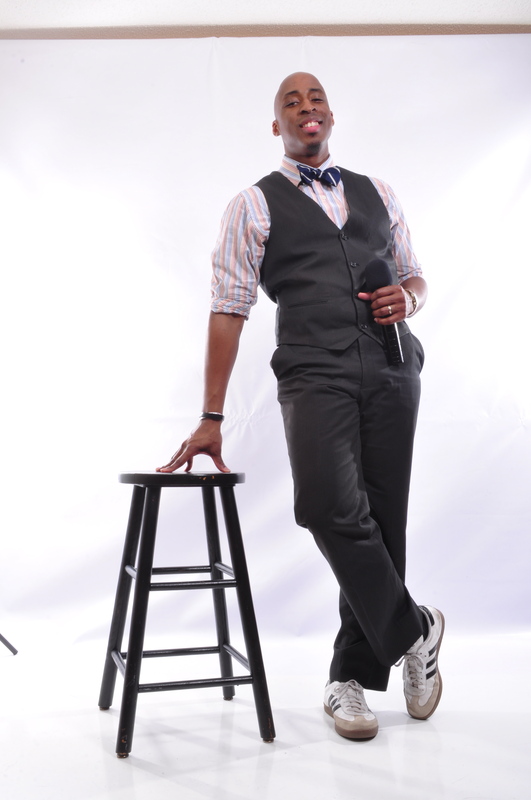 If you are looking for a “phenominal” performance that is “second to none,” you will ant to consider Mr. E! The Motivator! He bring Excitement, Energy, Engagement and Education that motivates students, teachers, and parents Equally! Watch Mr. E! The Motivator! in Action! Exceeding & I Know It! Contact Mr. E! The Motivator!